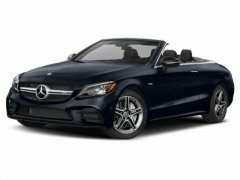 We’re excited to offer the new Mercedes-Benz models in our inventory above. You’ll be able to find new models like the 2019 Mercedes CLA and the 2019 Mercedes GLC. Don’t forget to browse our new Mercedes offers this month, as well. Once you have found a vehicle you like, head to our Mercedes-Benz financing department to consult one of our finance experts about securing a loan. We look forward to having you into our Mercedes dealership in Seattle, WA for a test drive soon.